Articles can be submitted only in the following formats: DOC, DOCX or RTF. 1. Type: Times New Roman, kegl: 14, line spacing: 1,5. 2. Margins: Top, Bottom: 2 cm; Left, Right: 2 cm. 3. The indentation size/paragraph: 1,25 cm. 5. The text should be typed using self-instructed carry. 6. Pages should not be numbered. 7. The headings in the text should be classified according to their significance (from the 1st up to the 4th level) and must be logically connected. The heading of the lower level complies with the heading of a higher level and must be typed with smaller letters than in the higher lever heading. 8. The headings should be typed with one type style. The heading of the same level throughout the text should be typed with the same print (italics, boldface font) and put in the text consistently (usually in the center). 9. The heading should not be separated from the body of the article. In headings hyphens aren’t allowable and the point is not needed. 10. The article shouldn’t’ have less than 5 pages and more than 18 pages with a line spacing 1,5, Times New Roman, kegl 14 (apart from illustrative materials, the references and author’s information). 11. The article can contain illustrations, charts, tables, etc. The illustrations are TIFF 300dpi – formatted, diagrams are Ехсеl-formatted and charts are Word-formatted. 13. Only units, abbreviations, symbols accepted in the international system of measures, physical, chemical and mathematical quantities and terms can be used. 14. In the article only printing quotes (« ») are used. 15. Shortenings and abbreviations should be the same throughout the text. 16. The style of the article should be clear and logic. 17. Materials submitted to the Editorial Board should have a review that can be given either by Doctor or Candidate of Pedagogics. The reviewer is responsible for the content of the article, the validity of presented materials. 18. The references should be put at the bottom of the article and typed with type 2 points smaller than the main text; authors’ surnames are marked with italics and build up according to the Russian state bibliographic standards (ГОСТ 7.1.-2008). 19. In the text and references inseparable word space (Ctrl + Shift + word space in Microsoft Word) should be put between Names and Surnames [И. Иванов], numbers and words (16 June). 20. The given references should be in square brackets. A word space should be put before brackets. Author’s surname, comma, imprint date, comma, page number – [Апресян, 1999, с. 55; Шейгал, 2000], [Robert, 1993, р. 1762], [Langenscheidt, 2010. S.746]. The references should be alphabetically put in the bottom of the article. 21. The reference sources in the foreign languages should be grouped in one section and alphabetically put after the Russian sources. Online informational resources should be given according to the title of the resource or author’s surname of the online material in the general references. All references should be sequentially numbered, making up a unique number sequence. 22. If the author needs to make comments about the text, he should make up a unit entitled «Appendix» and put them before references. Author’s comments should be marked with one or several asterisks (no more than three items) and put in order of precedence. 23. Special symbols (e.g. Greek, Old Russian, rare letters) should be presented in the form of a picture or should be accompanied with types with the given symbols. The references build up according to the requirements of Russian state bibliographic standards (ГОСТ Р 7.05-2008). 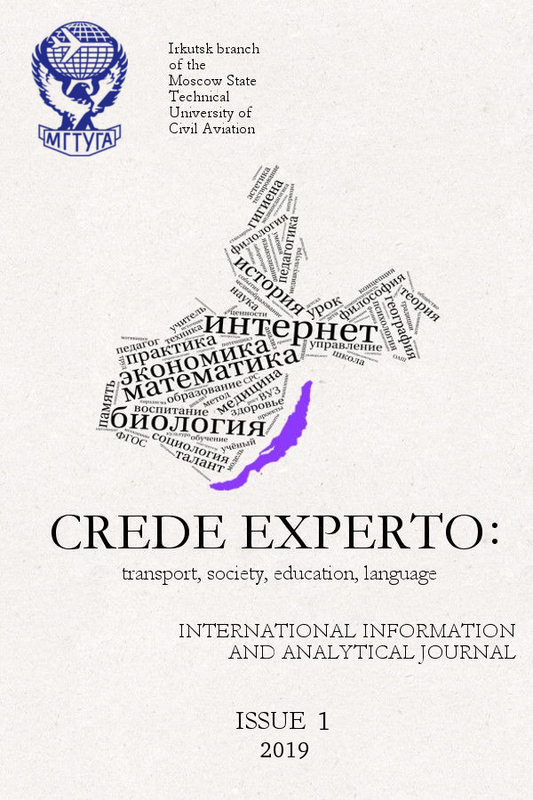 *If the article is written in any language besides Russian and English, the author should complete it with the title, abstract and key words in the language of the article. The article should be accompanied by an author’s form, an application and an author’s picture.